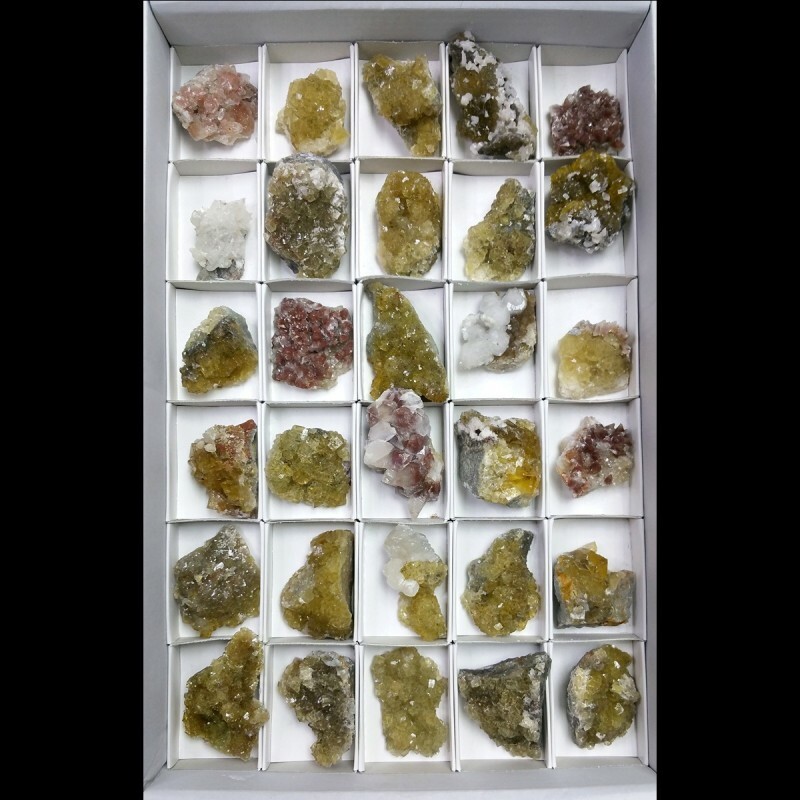 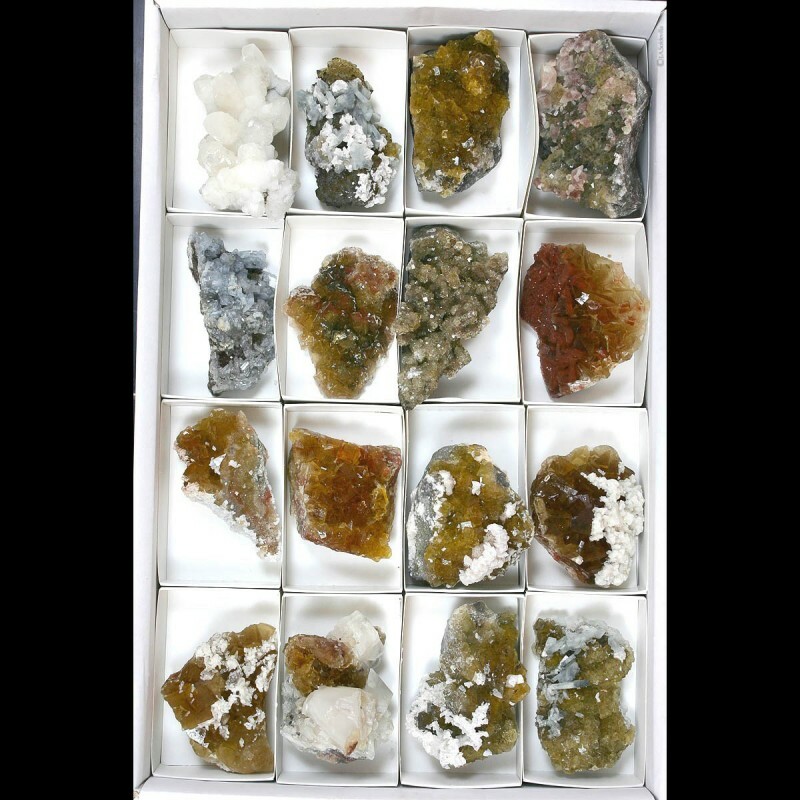 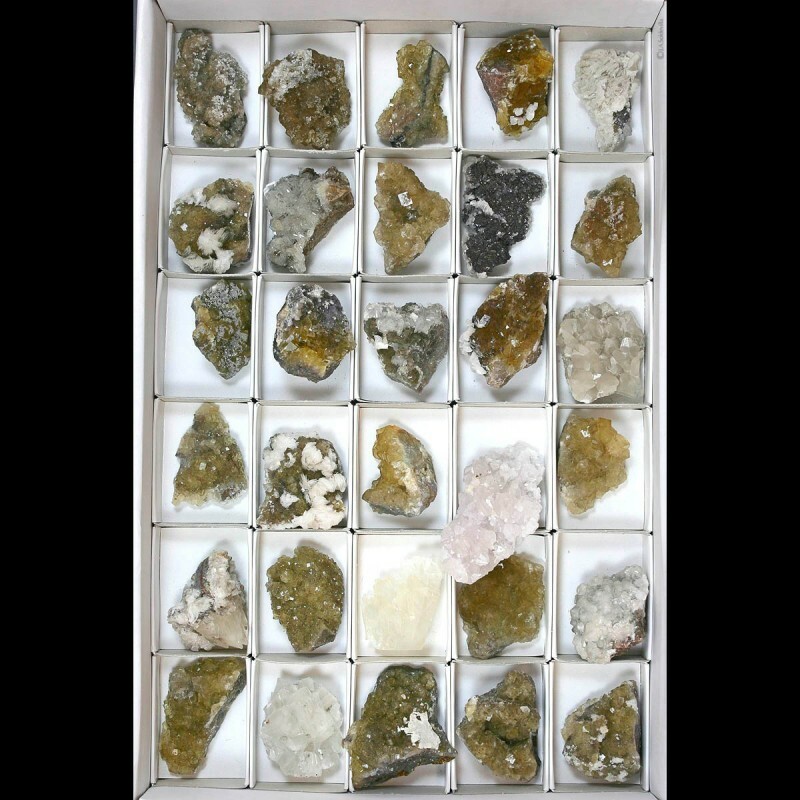 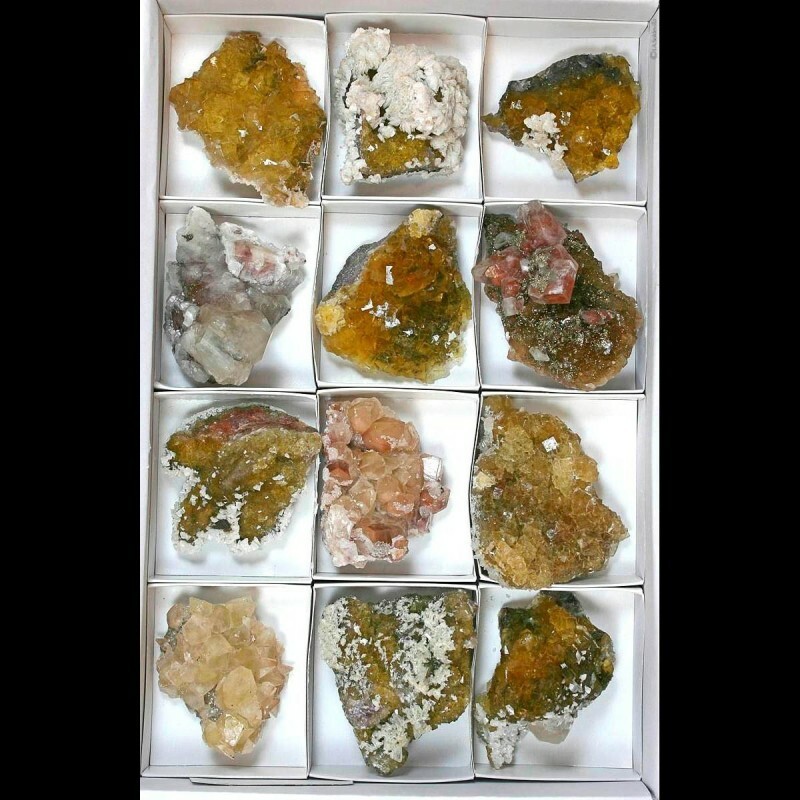 Yellow Fluorite flat from Moscona mine in second quality boxed in 8x9 cm. 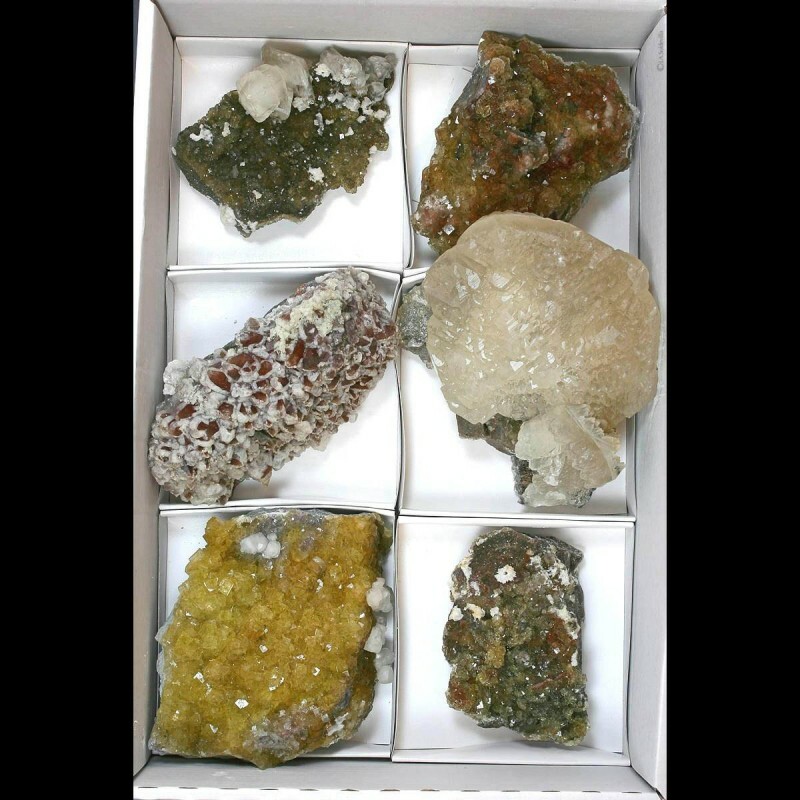 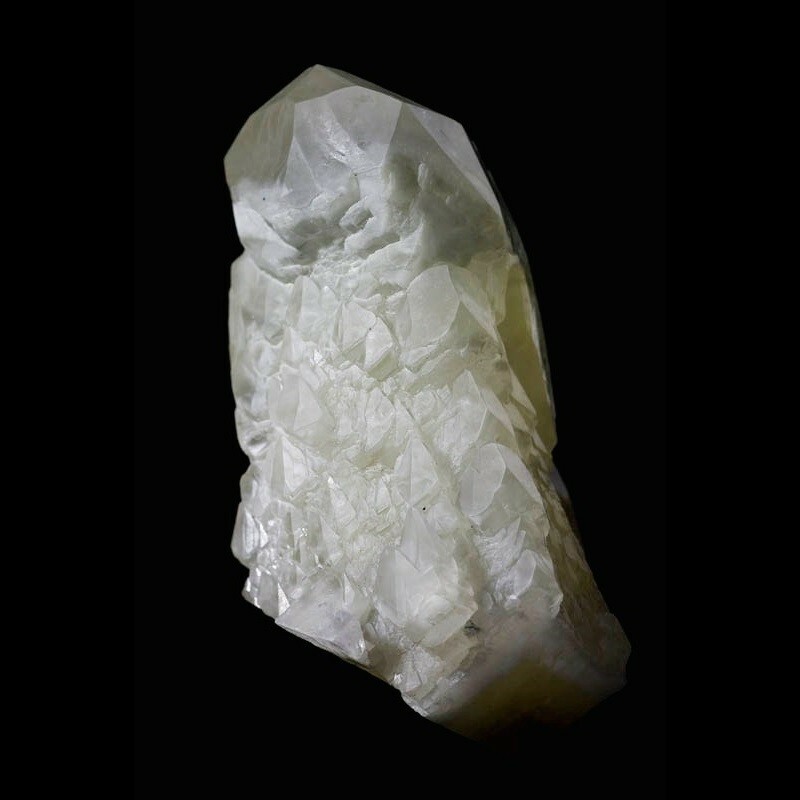 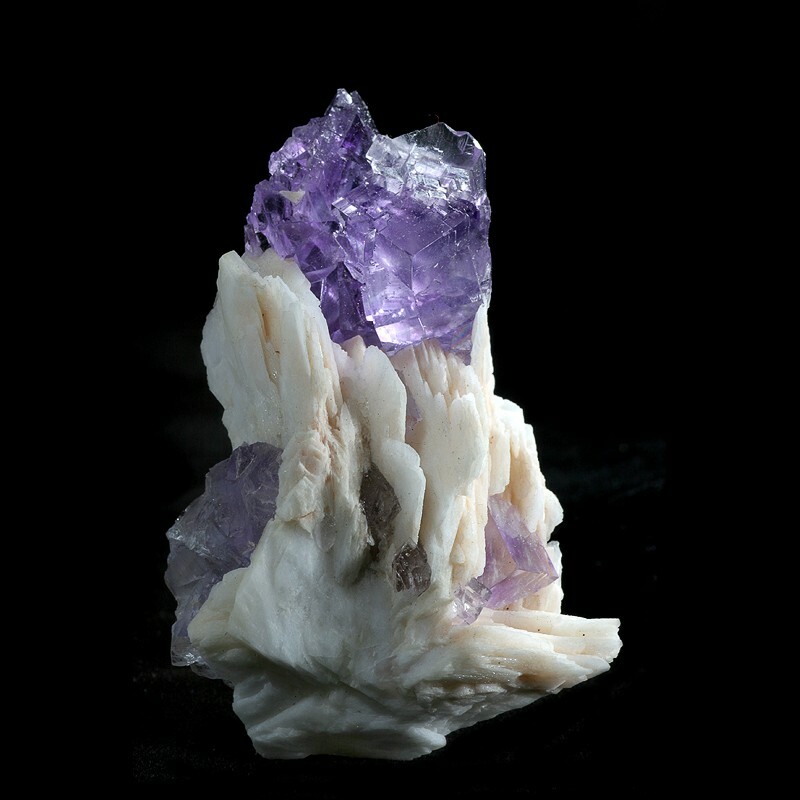 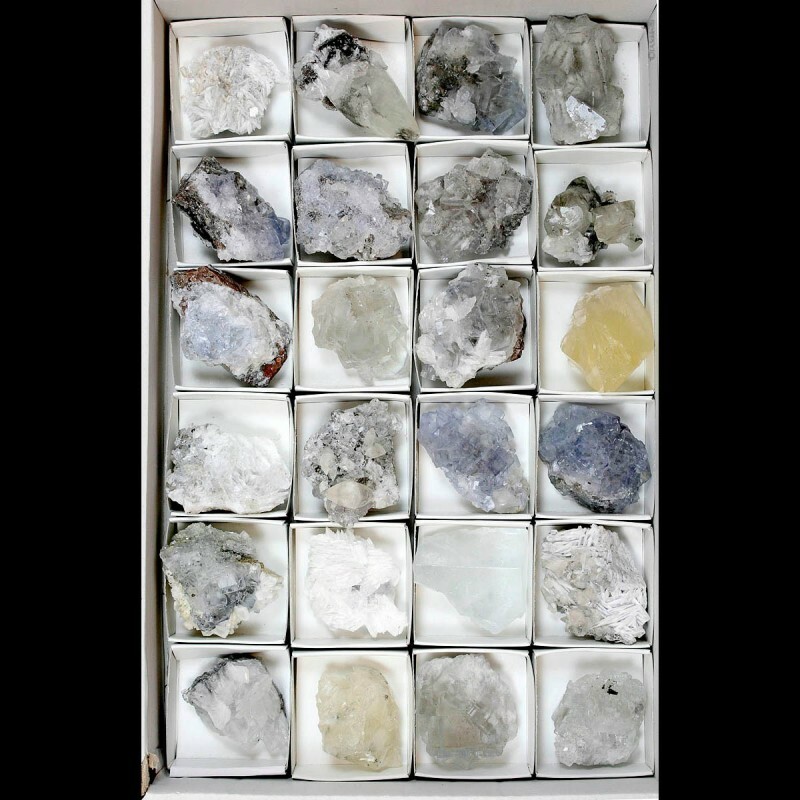 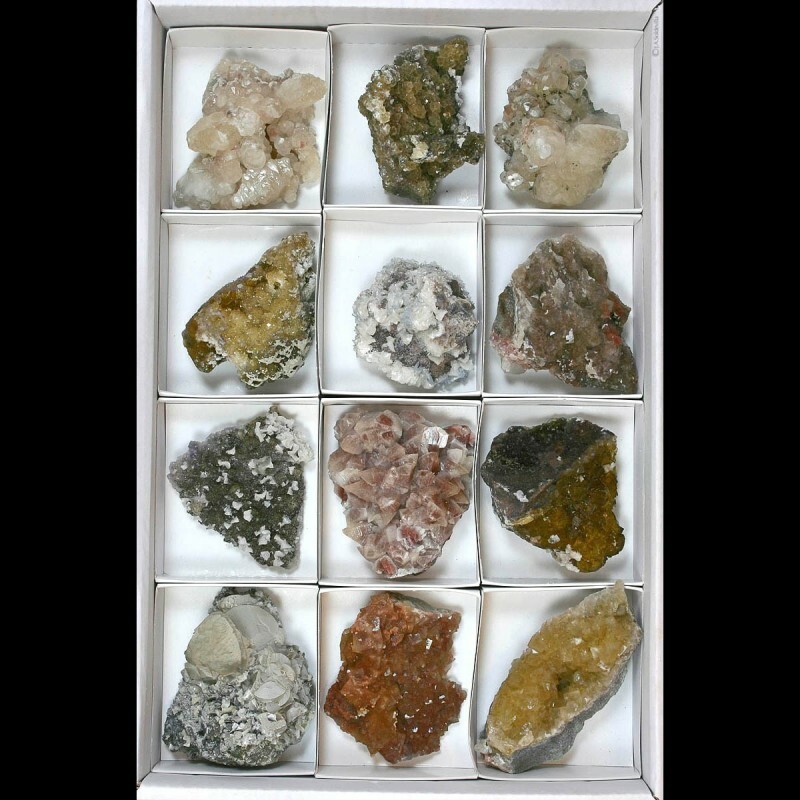 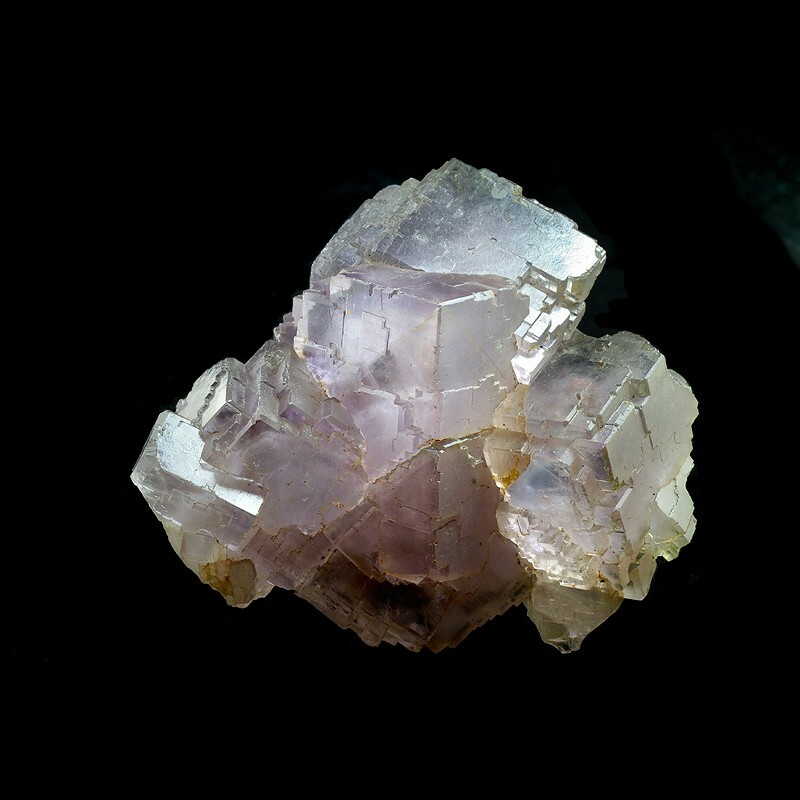 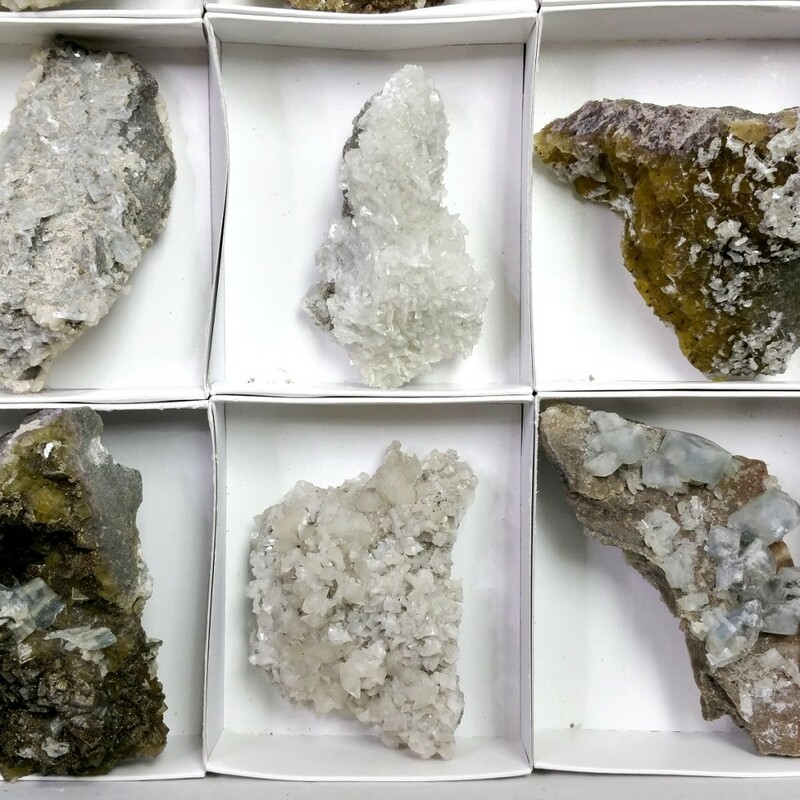 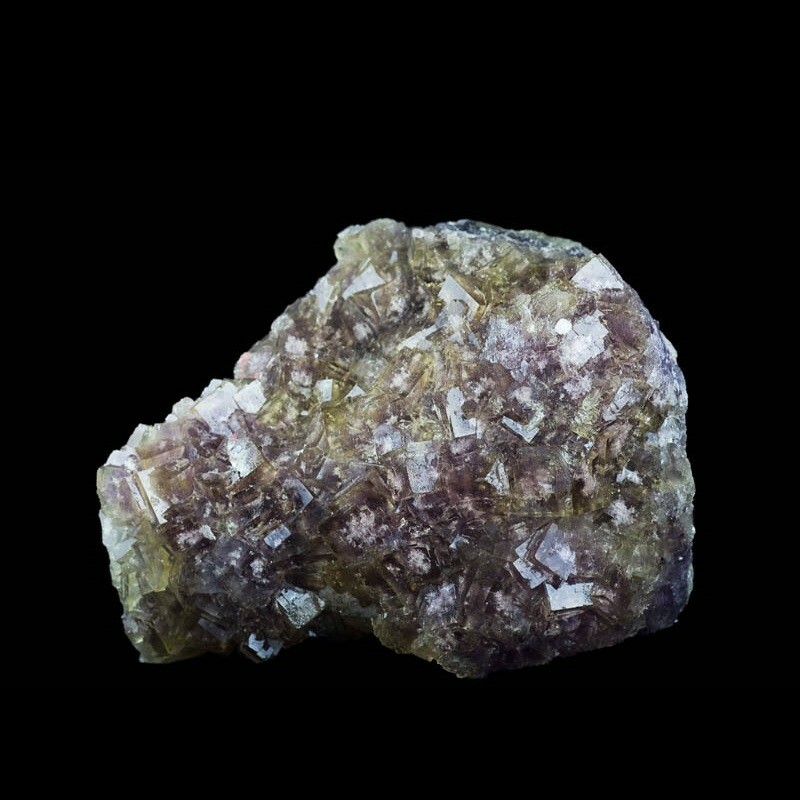 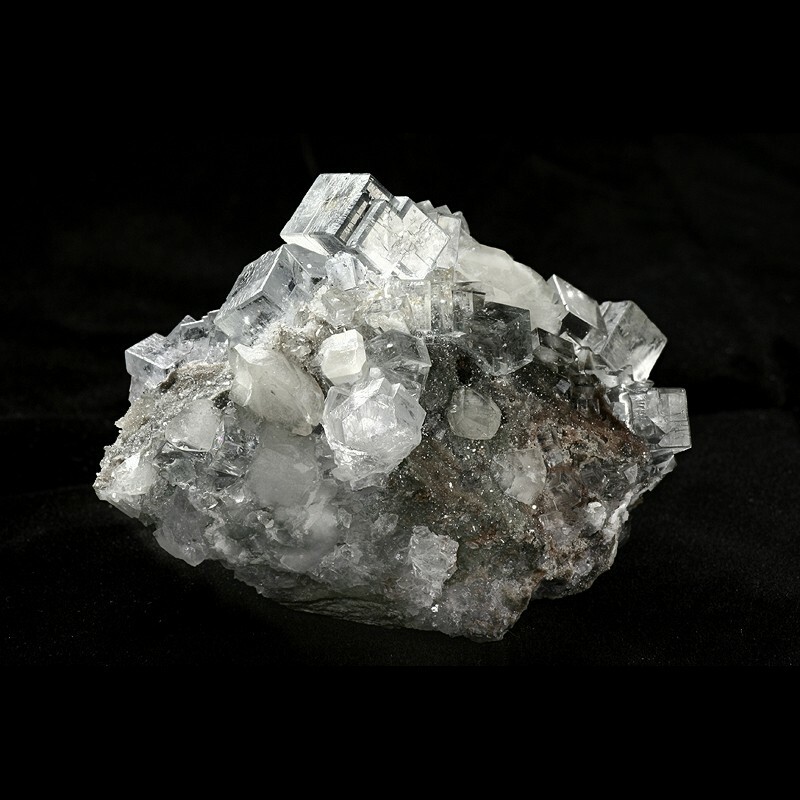 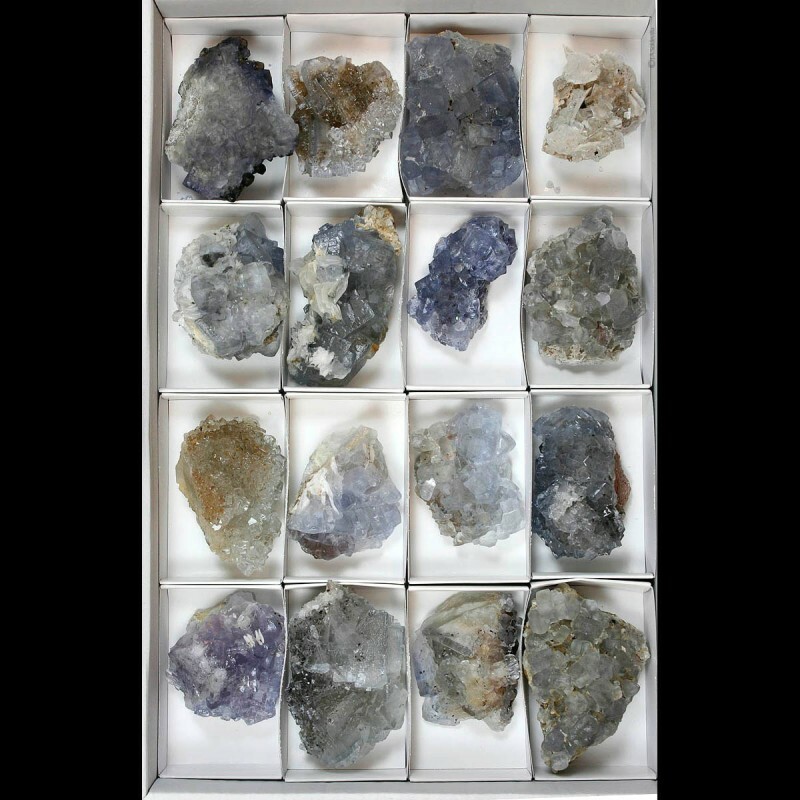 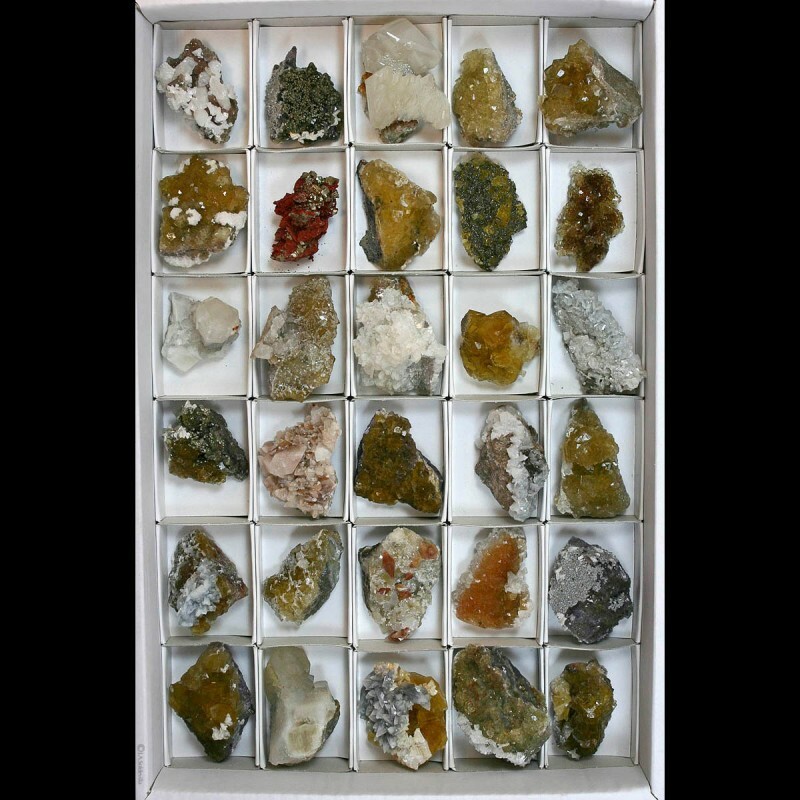 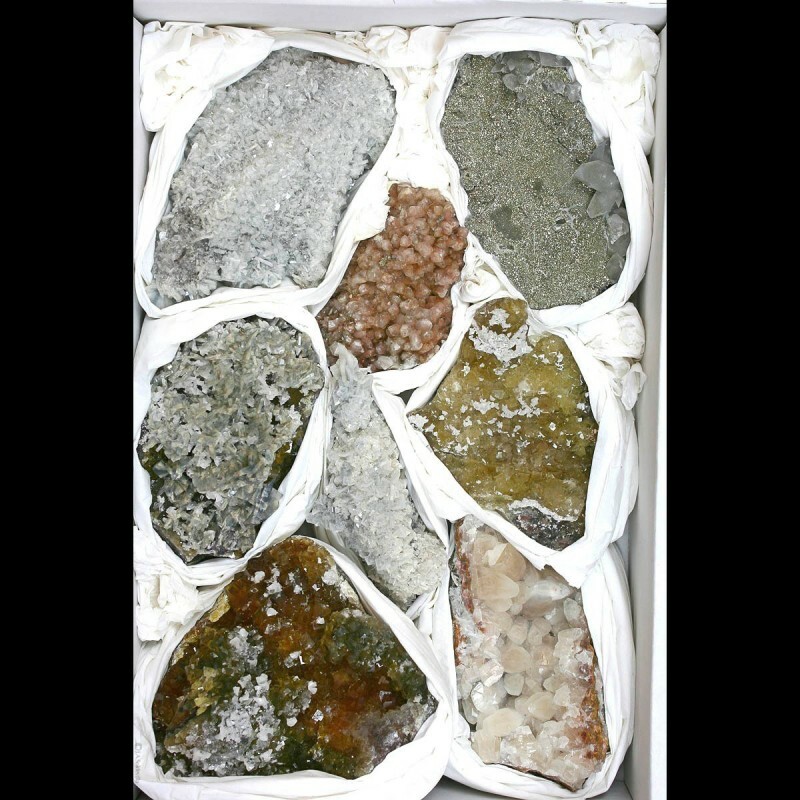 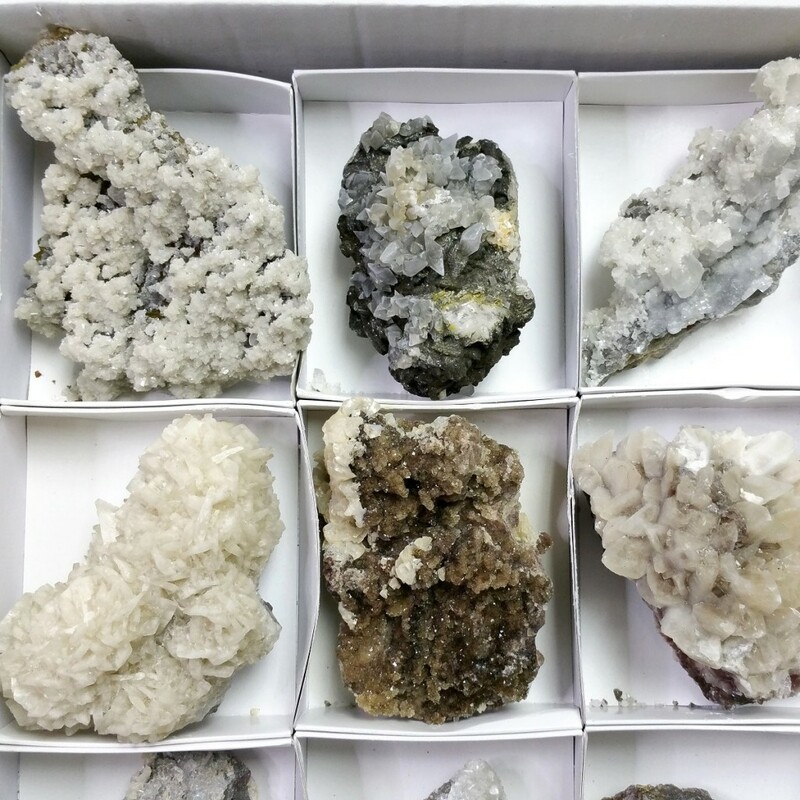 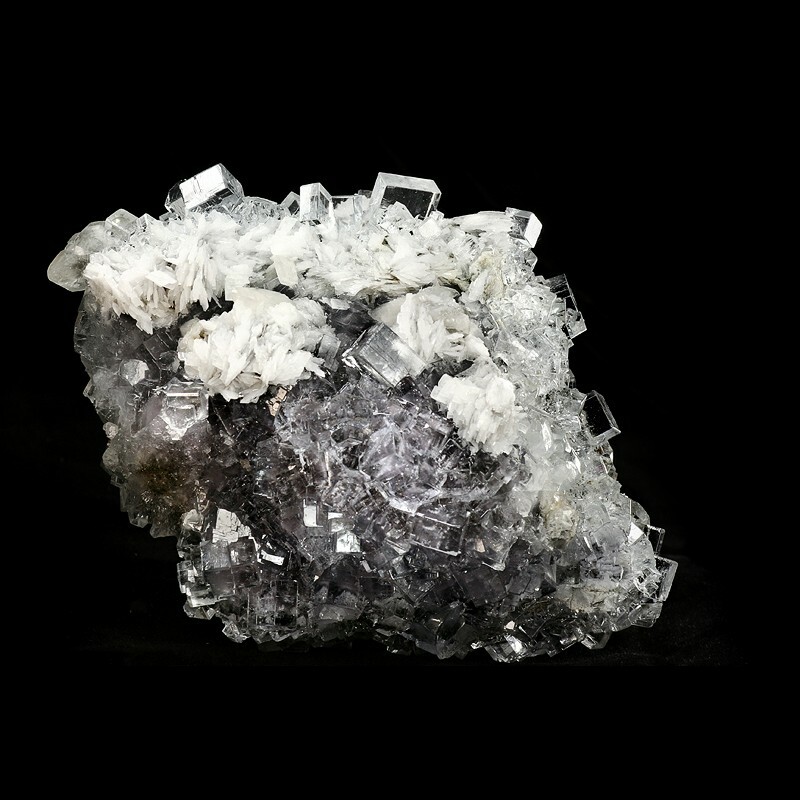 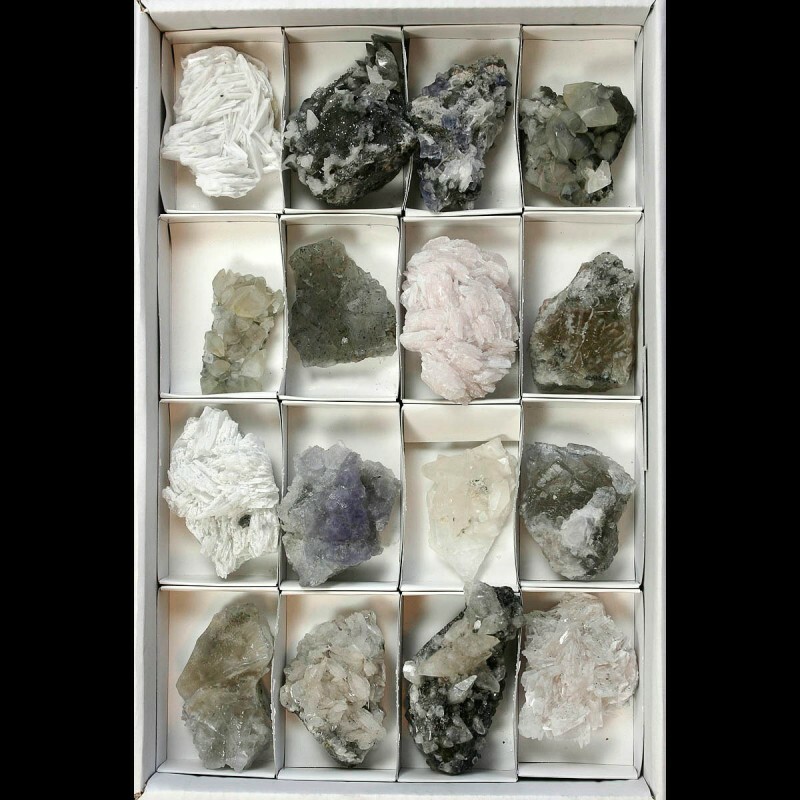 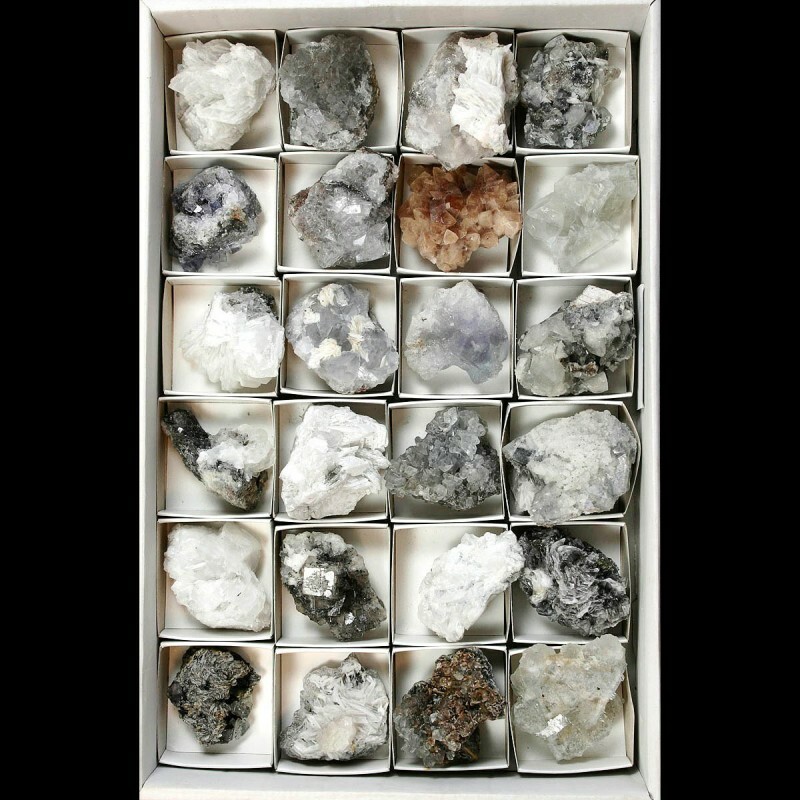 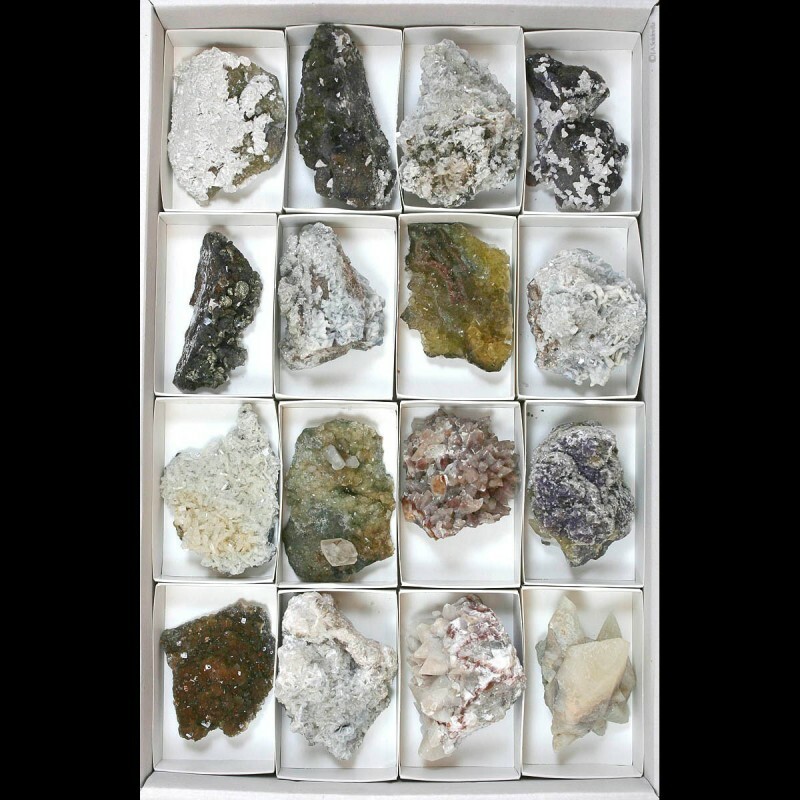 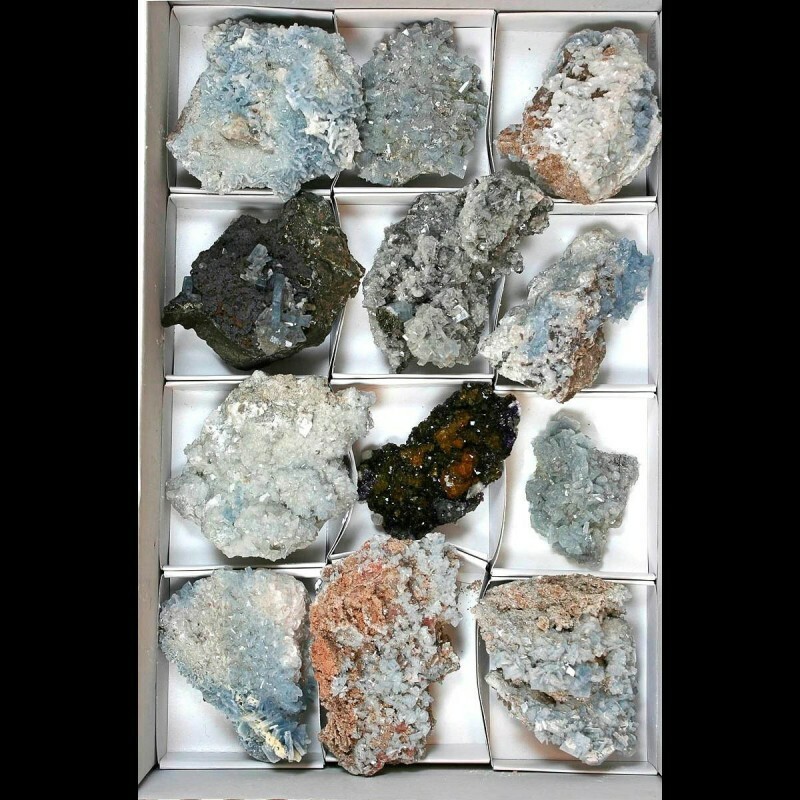 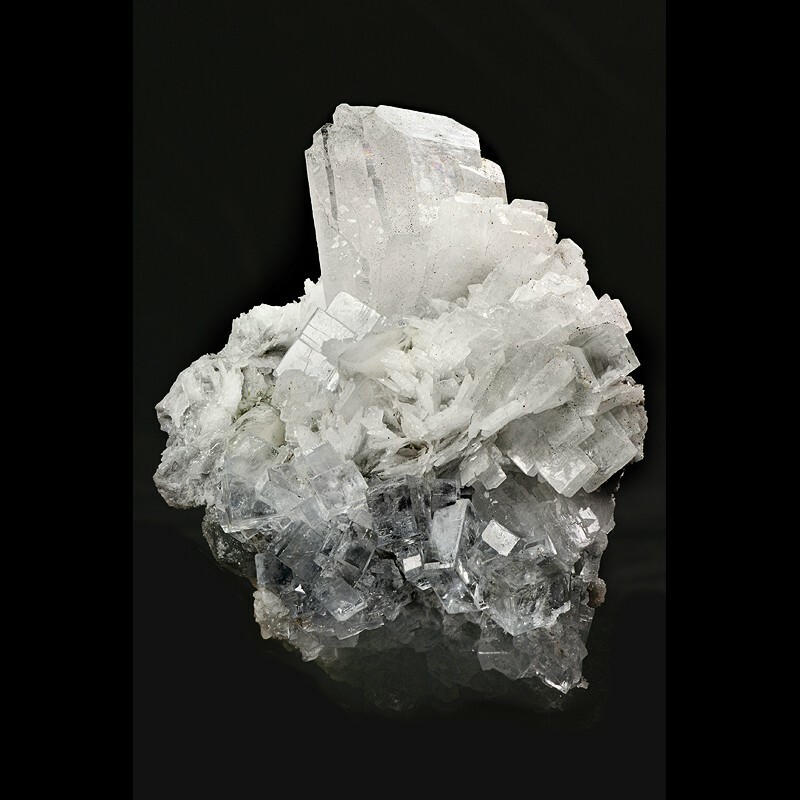 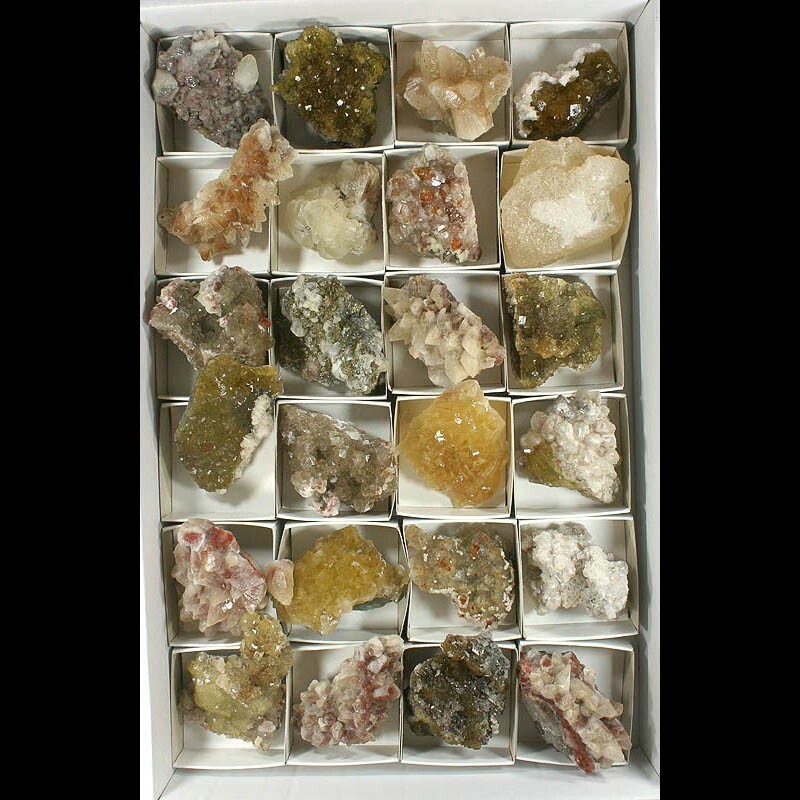 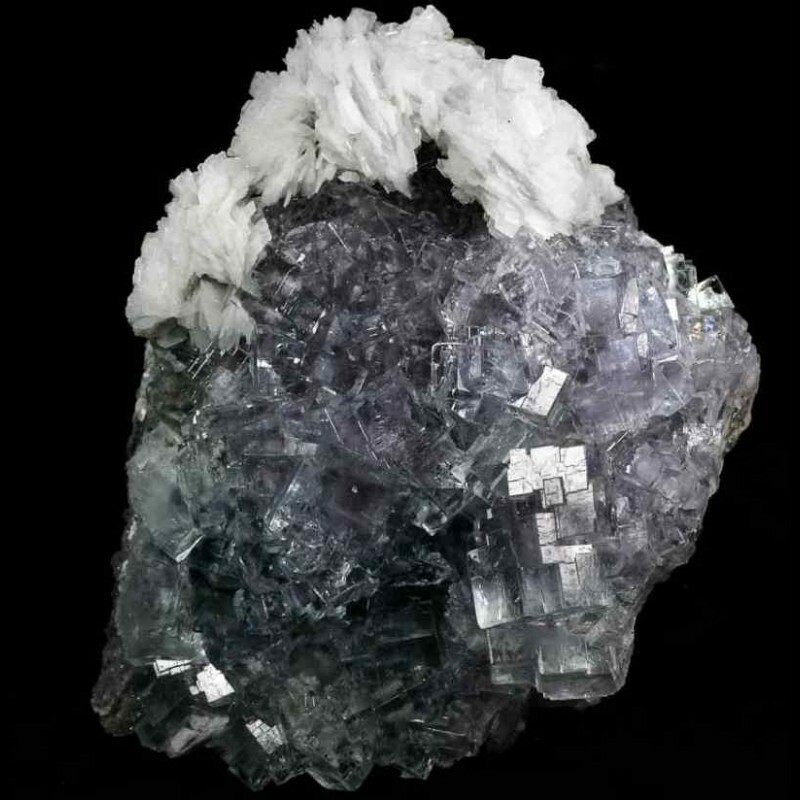 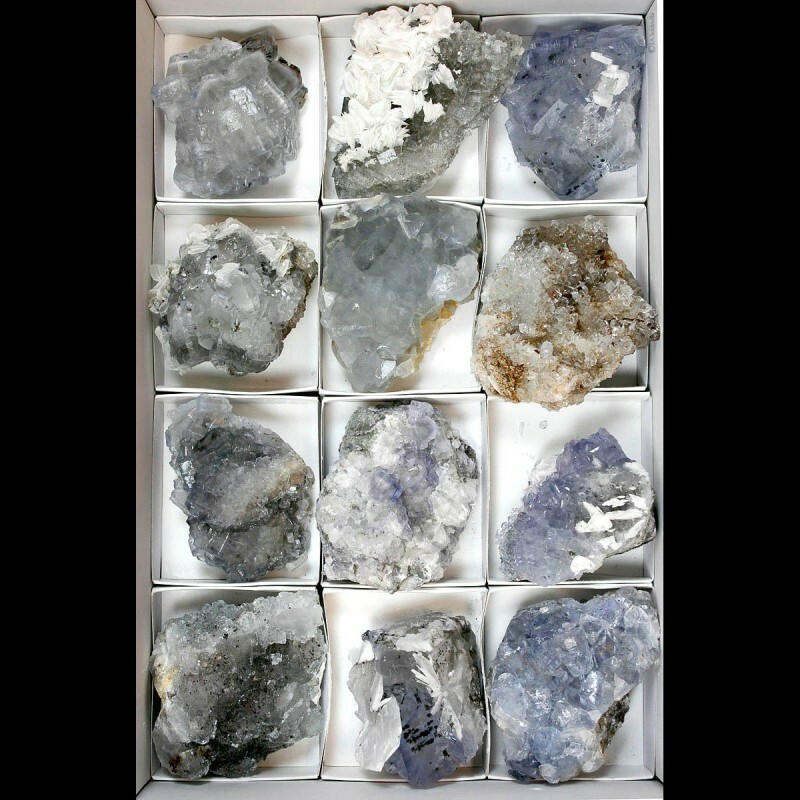 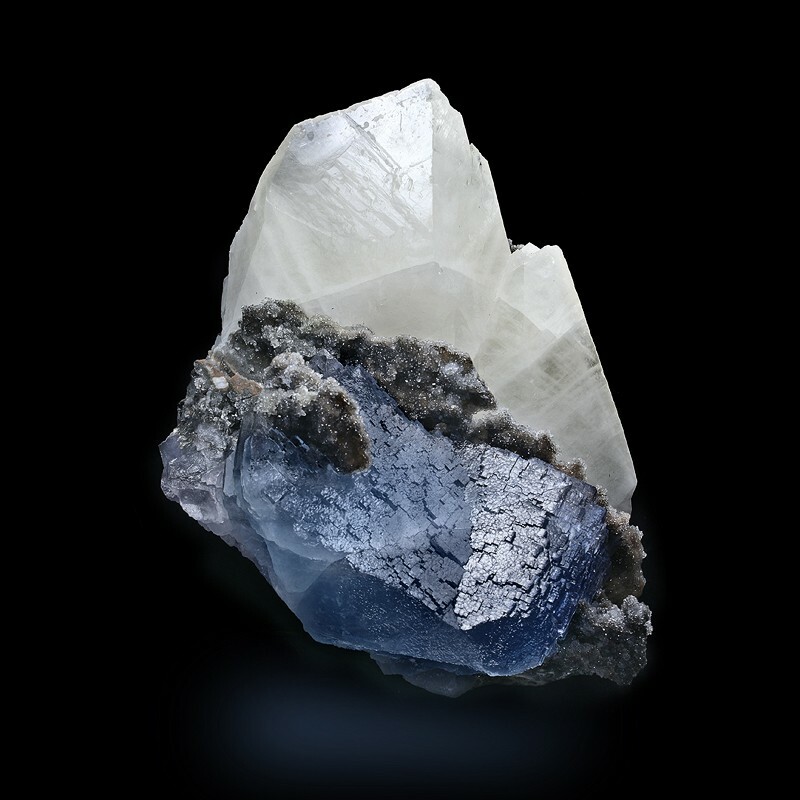 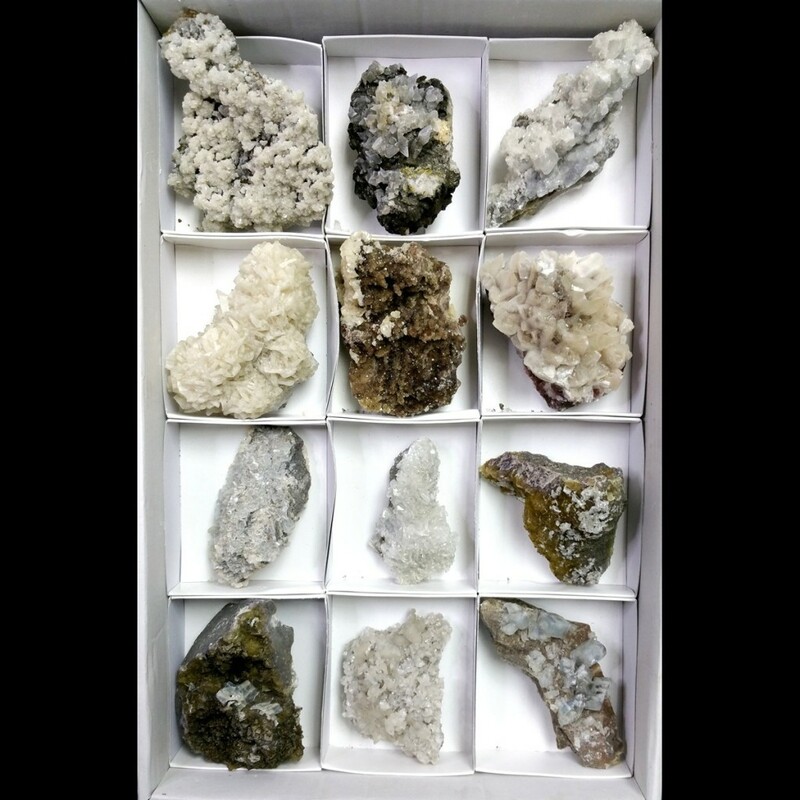 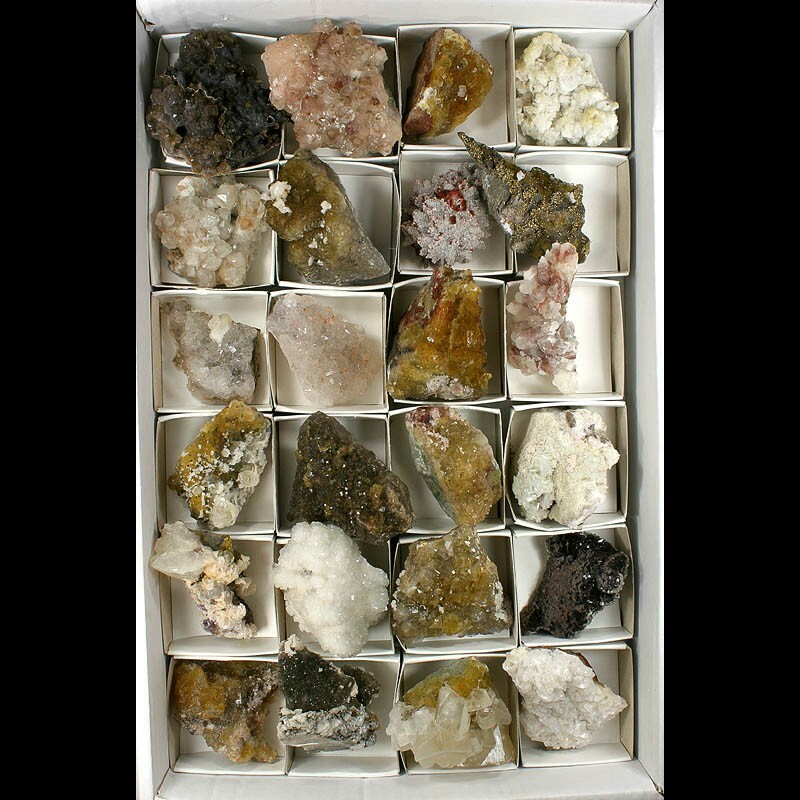 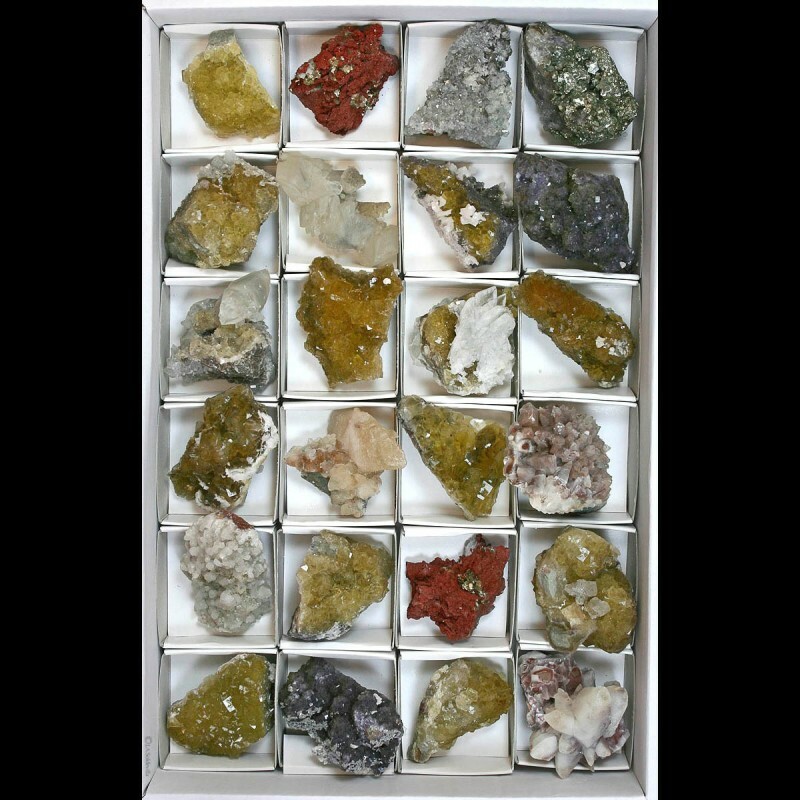 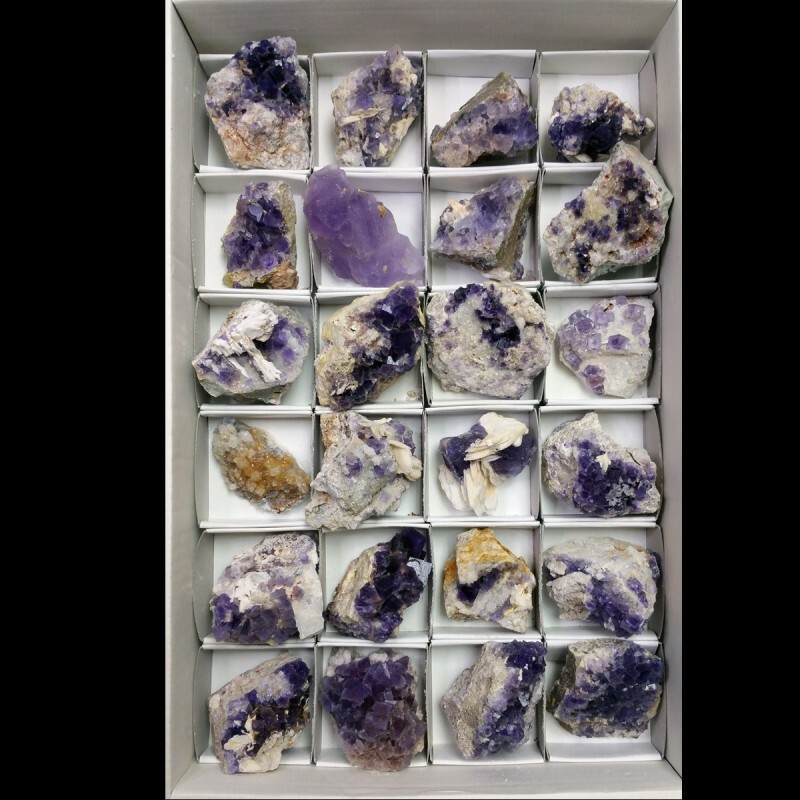 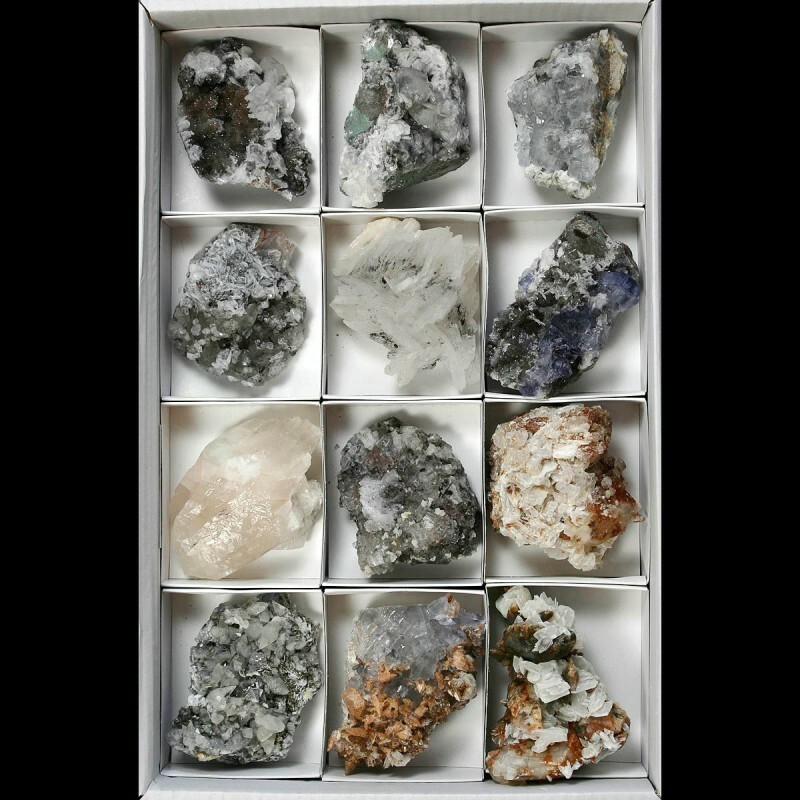 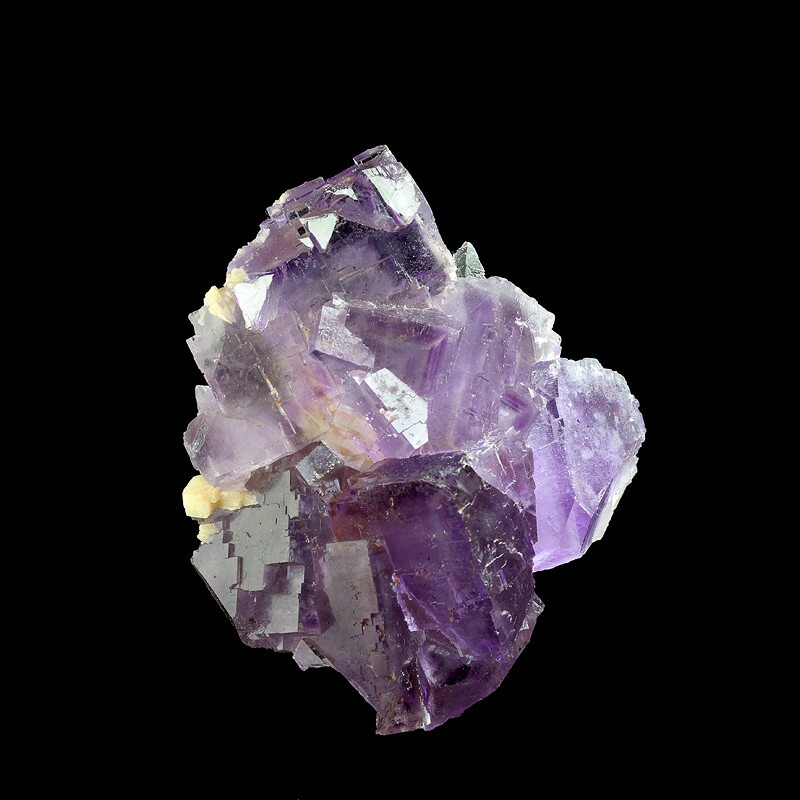 The flat contains 12 specimens and could have fluorite, calcite, pyrite, barite, ... all from the same mine. 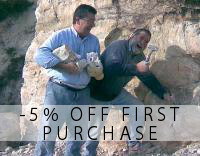 A perfect flat to resale or exchange.